Laura joined Burd Ward in January 2010 having studied at West Kirby Grammar School before graduating from the University of Liverpool with an honours degree in law. She also has a diploma in Legal Practice from the College of Law in Christleton, Chester. 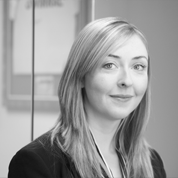 Laura qualified as a solicitor in June 2012 and in July 2014 was accredited as a member of the Law Society’s Children Panel reflecting knowledge and experience of dealing with children’s law. Laura Prysor-Jones works in the family law department and deals with a range of family work including children’s matters, divorce and domestic violence and also wills. Outside of work, Laura’s interests include reading and travelling and she enjoys attending music concerts and festivals.